You Can Succeed Now! | Want To Get More of What You Really Want? Start Right Here! Request your FREE, easy, comprehensive Life and Career Skills Assessment, complete it, and follow it as a blueprint to help you create your best career and happiest lifestyle. Request the assessment in the “leave a reply” area on this blog, or email Sheila at achieve11@mac.com. Thinking of starting your own business? To get your FREE Entrepreneur’s Check List, head over to CareerAction.Biz. There are 38 yes/no questions on that Entrepreneur’s Check List. Just by READING the check list, you will know the steps to take. By RESPONDING with a simple “yes” or “no” to each item, you will create your own road map to entrepreneurial success! Proven results for 40+ years! IF YOU ARE A U.S. TROOP OR IN A MILITARY FAMILY, you get the entire Troops in Transition self-study program for FREE! With it, you will be able to create your best career and happiest lifestyle proceeding at your own pace! The program has always produced a 95% success rate ever since 1979 with both civilians and, more recently, with U.S.Troops and their families. One participant completed the entire program in record time with no help from me and now has the career she always wanted as a graphic designer. You can read more about this dynamic, life-changing program at http://www.TroopsInTransition.Com. Want to start your own blog? Get your FREE e-book, “Blog-Grooming 101” and get started! Leave your request in the “leave-a-reply”area on this blog, or email Sheila at achieve11@mac.com. Discover Sheila’s favorite secrets to happiness and success just by reading her blog posts right here. You will find FREE, eye-opening information that will change your life if you are motivated to apply it! Discover your true mission/purpose with a single, FREE phone consultation with Sheila (612-866-1269, 2:30-4:30 p.m. Central Time)! It will seem like magic, but it is based on a scientifically researched and time-honored calculation that I know how to make! The call will take about 15 minutes. At the end of that time, you will understand your mission/purpose, and you will then be able to decide how to create to that purpose. 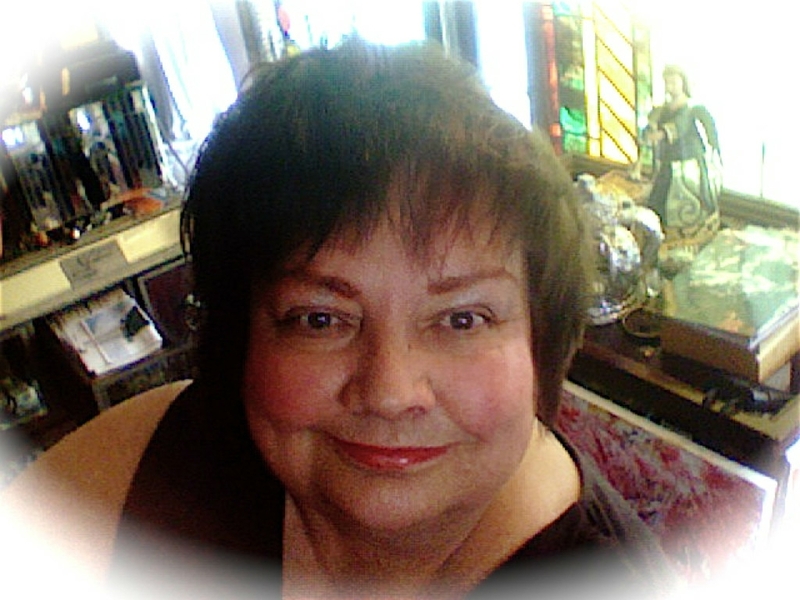 Sheila is a successful business owner (since 1979), popular international career-and-life coach, international dating consultant, published author, color-light therapist, mixed-media artist, and licensed and ordained interfaith minister. As a life-long learner, Sheila has earned many degrees, awards, and certificates including a Doctor of Divinity (in Advanced Energy Medicine), a PhD (in Religion/Spiritual Counseling), and BA in English. She completed a Master’s program in Adult Education and worked as a trainer in the Human Resources Department at the University of Minnesota for ten years before starting her own business. In 2011, a totally unexpected talent made itself known. Sheila discovered that she is a talented and totally untrained abstract/mixed-media artist. Her paintings are currently in 20 countries and 20 states (as of 2016) helping to uplift people of all ages and conditions. Alzheimers patients, in particular, respond in very dramatic ways to her work. You can view over 150 paintings at her online gallery: DiscoveryArt.Info. Sheila and her husband have been very happily married since 1987. If you would like to arrange for a consultation with Sheila, you can contact her at 612-866-1269 Central time, or by email: achieve11@mac.com. Her consulting fees start at $60/20-minutes.